Heads up American Girl fans! 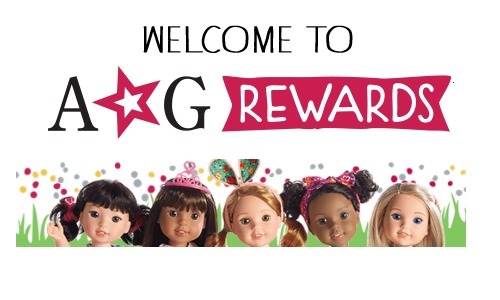 Be sure to check out the FREE American Girl Rewards Program. You can earn 1 point for every $1 you spend plus get a $10 rewards certificate via email for every 200 points earned, up to a maximum of $50 in rewards certificates per month. Also, don’t miss an exclusive birthday gift available on your daughter’s birthday and members-only surprises too. All regular, sale, and clearance merchandise purchased qualify for rewards plus in-store American Girl restaurant purchases also qualify, too.